Financial Tribune- The dossier of Arasbaran Forest in East Azarbaijan Province and three cities in Fars Province listed collectively as “The Ensemble of Historical Sassanian Cities” have been submitted to the International Council on Monuments and Sites and the International Union for Conservation of Nature. “Experts from both entities will travel to Iran separately this summer to assess the sites,” Mohammad Hassan Talebian, deputy for cultural heritage at Iran’s Cultural Heritage, Handicrafts and Tourism Organization, was quoted as saying in a report on the organization’s website. The assessors are expected to arrive before July 23. Iran hopes to have both entries inscribed on the World Heritage List in 2018. 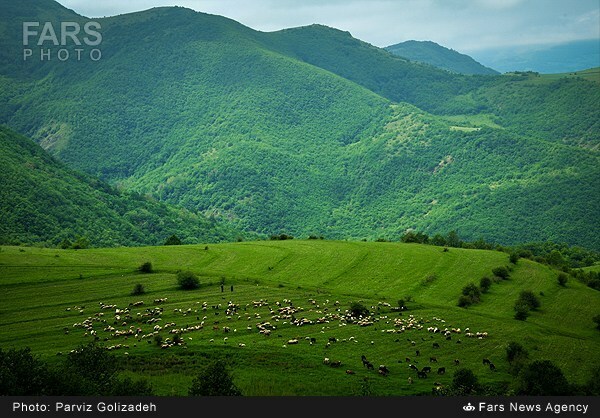 Arasbaran is an ecologically-rich forest in northwestern Iran, which contains 13% of Iran’s vegetation and is home to 29% of mammals, 44% of birds, 32% of amphibians, 9% of fish and 20% of reptile populations in the country. The Ensemble of Historical Sassanian Cities comprises Bishapour, Firouzabad and Sarvestan in Fars Province. According to the dossier, the ensemble embodies the political, historical, cultural and artistic developments of the Sassanid period (224-651). It includes the ruins of the city of Goor, Ardeshir’s Palace, Qal’e-ye-Dokhtar fortress and bas-reliefs. UNESCO’s World Heritage Committee opened its 41st session on July 2 in Krakow, Poland. The committee will review the case for the inscription of the historical city of Yazd in central Iran before the session ends on July 12. If inscribed, Yazd will become Iran’s 22nd world heritage site.